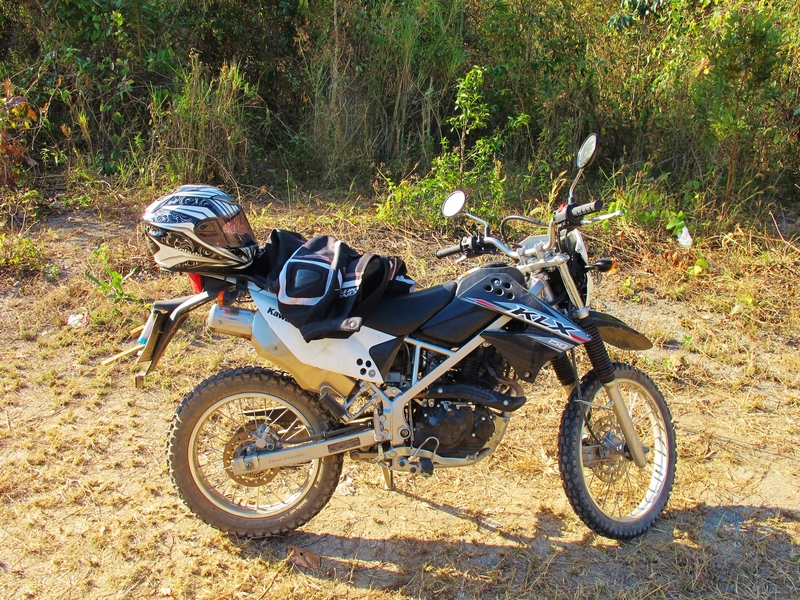 The perfect vehicle for getting from Huay Tung Tao to the Doi Pui campground – the difficult way (10km of steep dirt tracks and woodland paths). 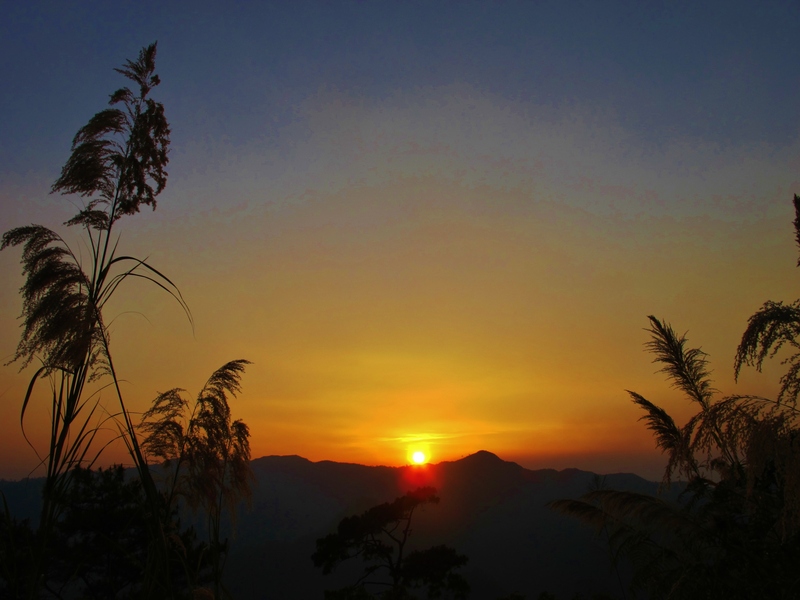 After a successful early morning at Huay Tung Tao lake, I decided to head to the Doi Pui national park. In most vehicles, this would involve a journey of about 35km on sealed roads. 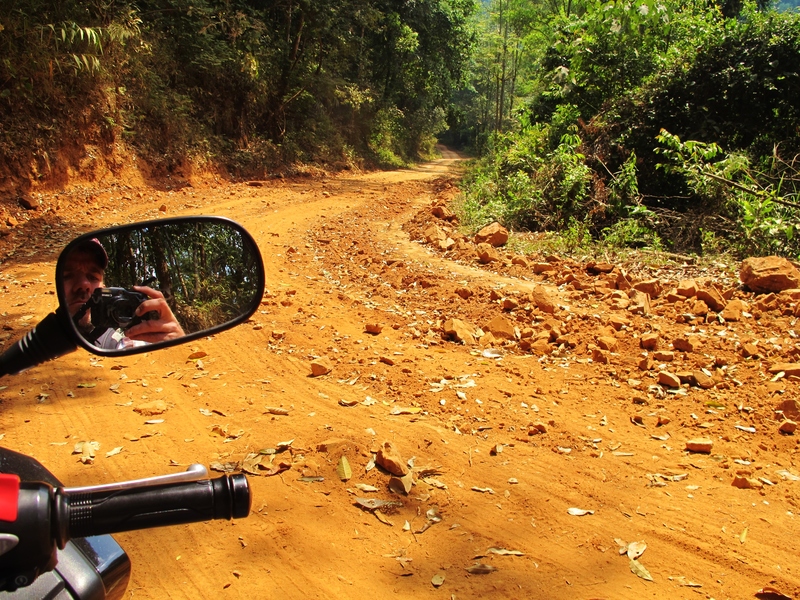 However, for those in the know and with suitable wheels, it is possible to get there on dirt tracks and woodland roads – it’s about 10km straight up the mountain, with some seriously steep sections and a lot of loose sand and rocks to contend with. 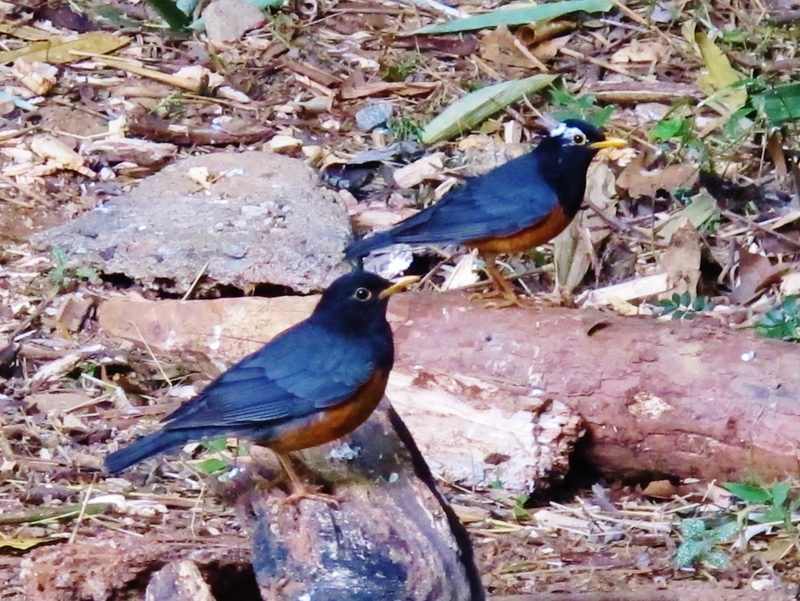 On arrival at the campground, I decided to hike to the summit – I had never actually been to the top of the 1,685m-high Doi Pui, and I reckoned there should be some birds to see along the way. It’s about a 4km round trip hike to the summit from the campground, the narrow trail passing through some excellent montane broadleaved forest, with some pines and slightly more open forest near the top. As is often the case with birding, I didn’t see either of my “targets” – the rather tricky Green Cochoa and Long-tailed Broadbill, both of which I have seen before in the park. I did however make some excellent observations. Early in the walk, patience and persistence finally resulted in good views of an Eyebrowed Wren-Babbler foraging in the leaf litter, and a small flock of Eyebrowed Thrushes was also good to see. At the top, literally directly above the summit sign, a male Vivid Niltava was unusual in that it was a South-East Asia tick for me, but not a year tick (it’s a common montane bird in Taiwan but it’s the first time I’ve seen it in Thailand, where it’s a scarce winter visitor). Heading down the mountain via a slightly different route, I had brief views of a pair of Silver Pheasants on the trail ahead of me. The male is stunning, almost pure white on the back and tail. Forest pheasants in Thailand are generally scarce and very shy, so this was a real star bird to see. A Scaly Thrush flushed from the trail and later seen perched on a low branch was another bird I never tire of seeing. Finally, nearing the bottom of the trail, I not only saw a pair of Clicking Shrike-Babblers (year tick and only the second or third time I have seen this species), but I also found their nest – a really nice way to round off a very productive and enjoyable morning. South-East Asia Tick: Vivid Niltava (total 650). 2015 Year Ticks: Eyebrowed Wren-Babbler, Silver Pheasant, Clicking Shrike-Babbler (total 416). 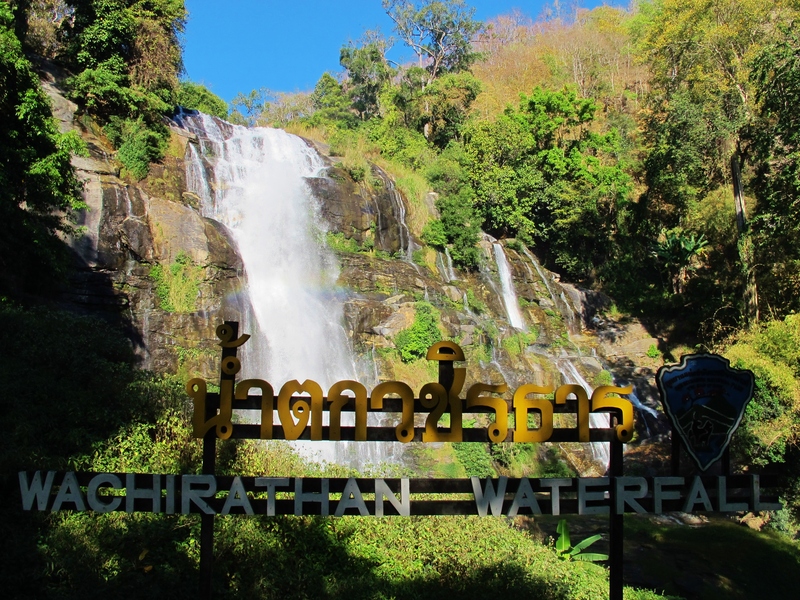 The ever-beautiful Vachirathan Waterfall at Km 20.5 on Doi Inthanon – even in the dry season it probably qualifies as one of the more impressive waterfalls in Thailand. Nine years after my first visit to Doi Inthanon, this flagship site for birding in Thailand still has the power to deliver a lifer or three. 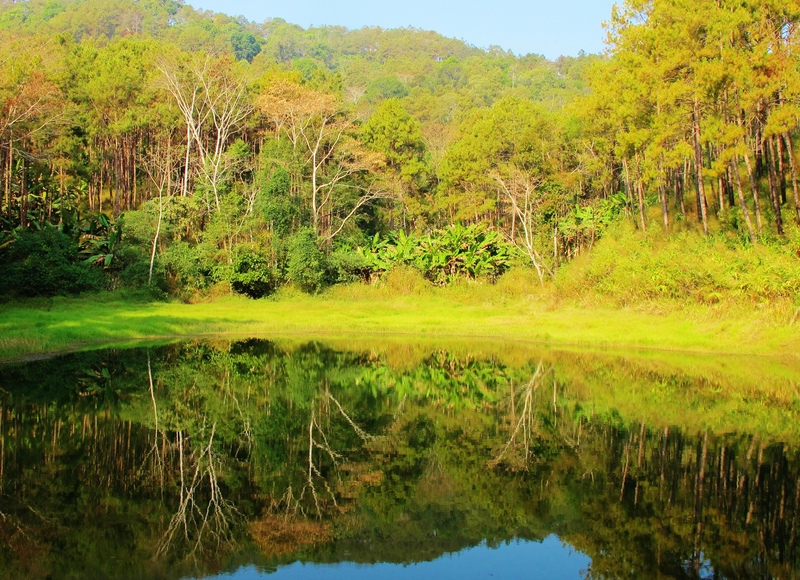 It’s an impressive national park, notable for not only containing Thailand’s highest mountain (altitude 2,565m), but also providing some extremely varied and interesting birding across a number of altitudes and habitat types. I spent an afternoon, a full day, and a final morning here, varying my birding locations in order to maximise my chances of seeing as many year ticks as possible. 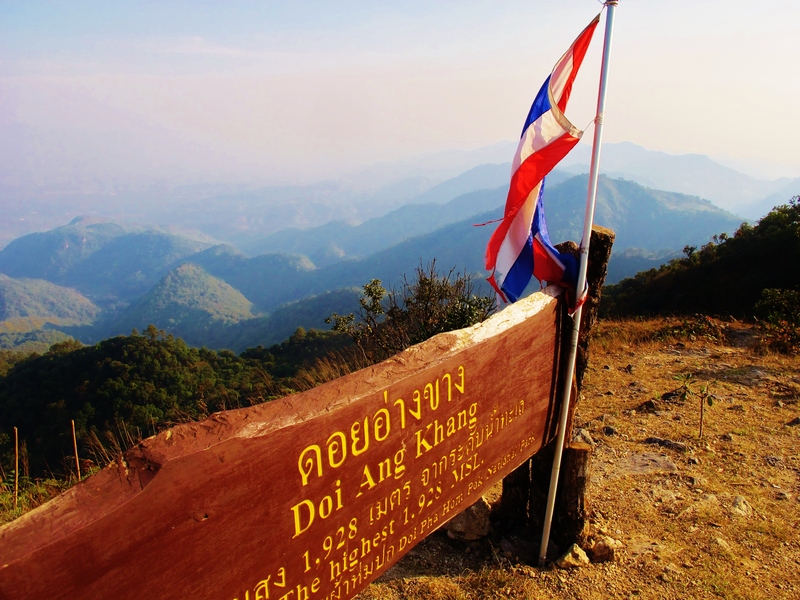 Base camp of operations was – as usual – Mr Daeng’s excellent B+B, a few hundred yards along from the Doi Inthanon visitor center at approximately Km 31. Mr Daeng’s place goes from strength to strength, with the food getting better with every visit – and the rooms still priced at a very reasonable 500 baht per night. I saw about 80 species on the mountain, a slightly lower total than previous visits, but this one was by far my best in terms of quality. Km 13: a dry and very hot area of deciduous forest, often seeming quite birdless but several key species are here. Km 20.5: Vachirathan Waterfall, the largest falls in the park and worth a look for redstarts and forktails. Km 24: Sirithan Waterfall, much less visited than Vachirathan and another spot worth trying for river species. 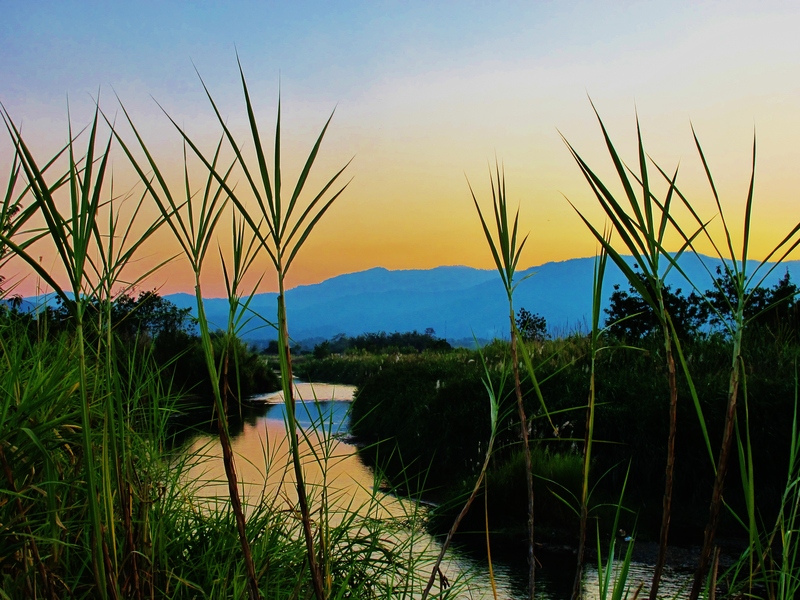 Km 30: Siriphun Waterfall, campsite, and the hills beyond – a side road through the village of Khun Klang leads to several good birding areas. Km 34.5: excellent trail through broadleaved evergreen forest and bamboo. Km 37.5: pristine evergreen forest, tough birding but some good species are in here. Also a roadside stakeout for several retiring species attracted to photographer’s bait. Km 45-47: roadside good for warblers, sunbirds etc. Km 47: the summit and Ang Ka nature trail/boardwalk, a unique (in Thailand) Himalayan sphagnum bog, good for many of Doi Inthanon’s special birds. 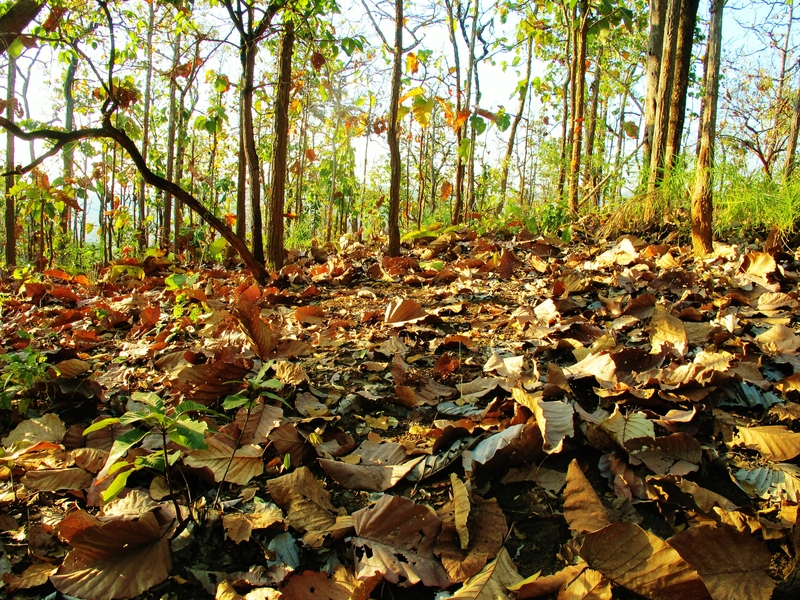 A thick carpet of fallen leaves at the deciduous forest at Km 13. This site gets very hot from about 9.00am onwards and is best visited in the very early morning. 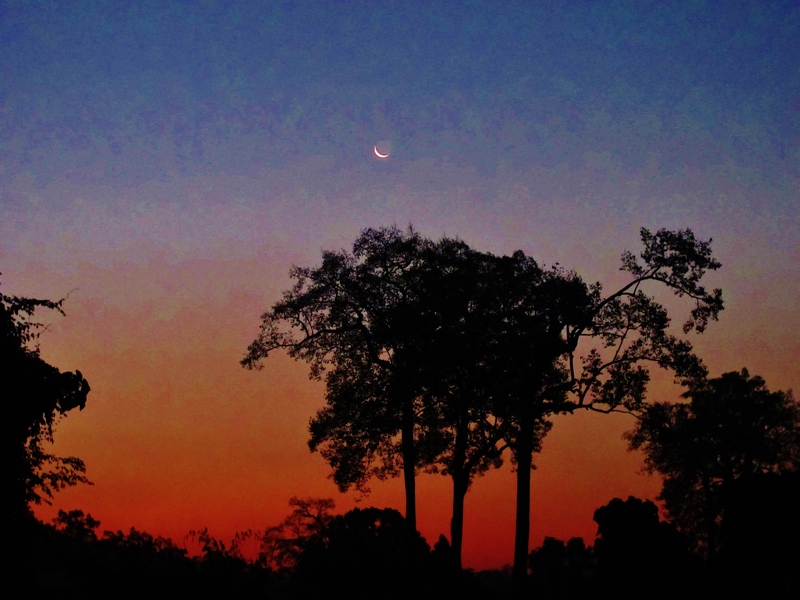 Grey Nightjar – one over the road at dawn at approximately Km 44. Black-tailed Crake – heard on successive evenings at the campsite marsh but not seen (therefore not included on my list). Grey-sided Thrush – excellent views of a male at the summit marsh. Dark-sided Thrush – at least four birds at the summit marsh early morning. Rufous-throated Partridge – just one at the summit marsh. White-browed Shortwing – three males seen at the summit marsh, plus a female at the roadside at Km 37.5. Lesser Shortwing – female behind Mr Daeng’s. 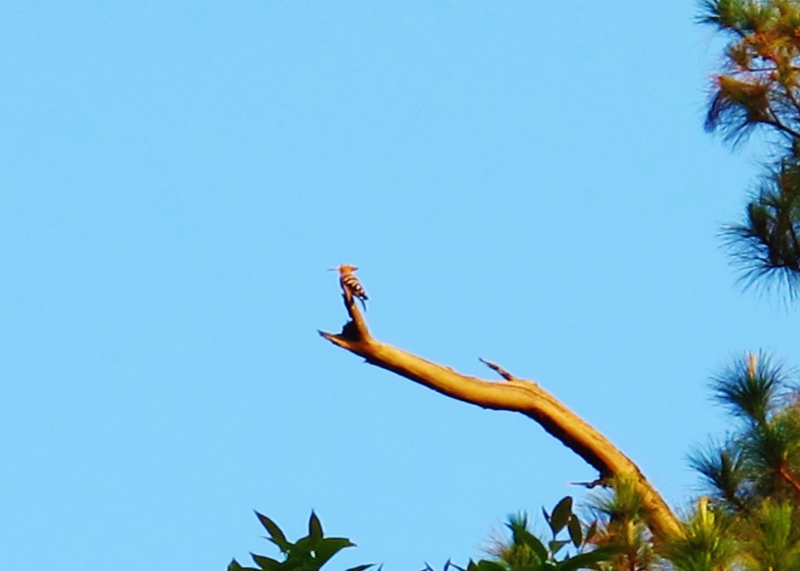 Hume’s Treecreeper – pair at Km 34.5. Banded Bay Cuckoo – a pair showing very well in a bare tree at Siriphun Waterfall, the male in full song. Rosy Minivet – pair at Sirithan Waterfall. White-capped Water Redstart – one at Siriphun Waterfall, a real stunner. White-headed Bulbul – several along roadside, on Khun Wang road 6.5km from the intersection. Blue-throated Blue Flycatcher – a real surprise was a pair showing extremely well along the steps to the Sirithan Waterfall, the male in full song. Snowy-browed Flycatcher – three males along roadside between Km 46 and Km 47. Small Niltava – female by the roadside at Km 37.5. 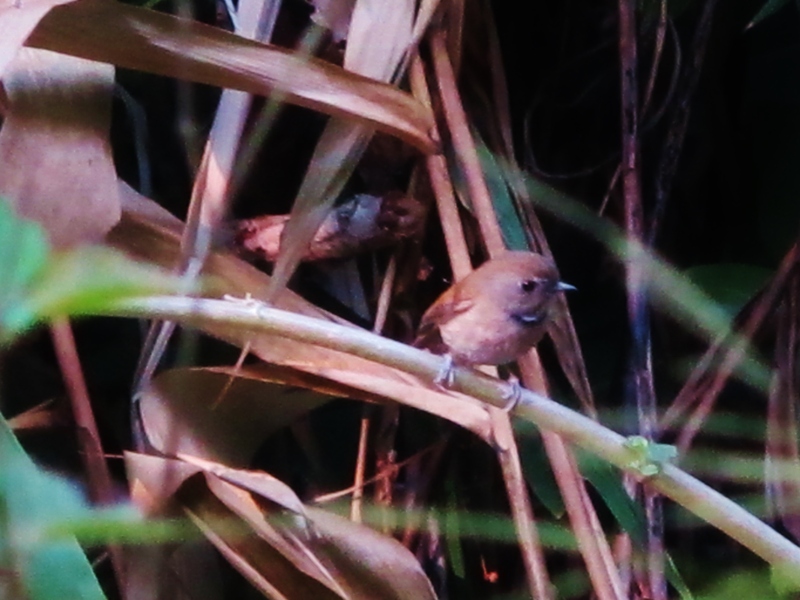 Pygmy Wren-Babbler – pair at the summit marsh. 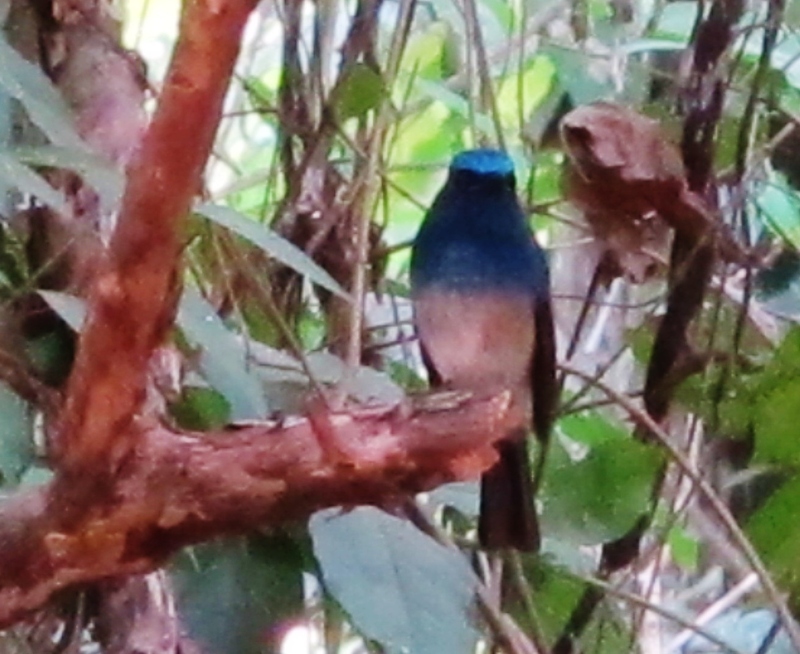 Slaty-bellied Tesia – abundant along the Km 37.5 trail but hard to see, one eventually showed fairly well. Ashy-throated Warbler – common at the summit, isolated population on Doi Inthanon is the only one in Thailand. Blyth’s Leaf Warbler – several at the summit marsh, to my knowledge the only place in Thailand where this subtle species can be seen. Two-barred Warbler – one at Km 34.5. Siberian Blue Robin – male behind Mr Daeng’s. Ashy Woodpigeon – at least four between Km 45 and Km 47. Wedge-tailed Green Pigeon – one at Sirithan Waterfall, and one at Km 34.5 trail on successive afternoons. Common Rosefinch – five at the summit marsh. Lifers: Grey-sided Thrush, Hume’s Treecreeper, Banded Bay Cuckoo (total 1,808). 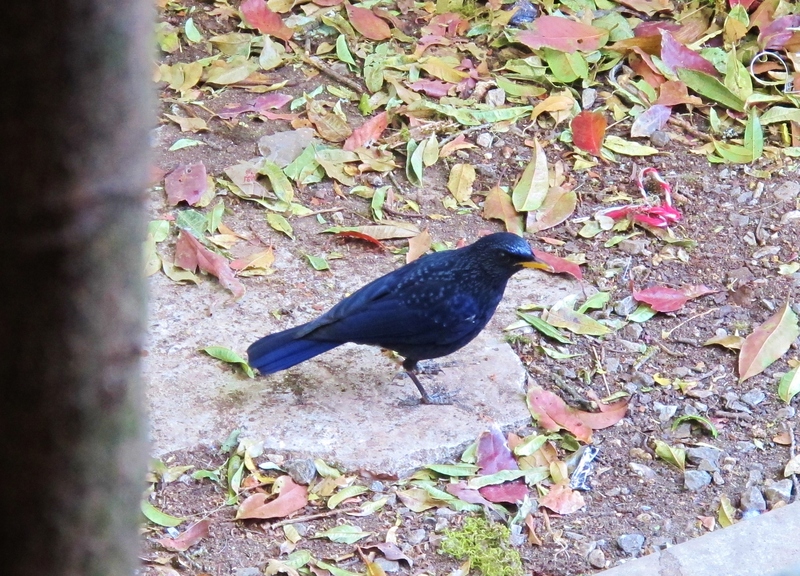 Blue Whistling Thrush at Doi Inthanon summit. This individual is of the yellow-billed race, a common winter visitor to the area – the dark-billed resident race is less often seen but is also present here. Originally from England, I have been living and working overseas – mainly in Asia – since 2005.